Wayne A. Wiegand, author and F. William Summers Professor Emeritus of Library and Information Studies at Florida State University, was selected as the 2017 winner of the Gale Cengage History Research and Innovation Award, administered by the History Section of RUSA. Wiegand was selected for his outstanding project proposal. 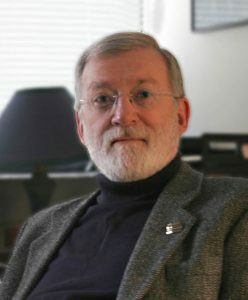 His research promises to fill a significant gap in the history of public school libraries and to draw much-needed attention to an institution that, as Wiegand puts it, “boasts a rich history of service to tens of thousands of schoolteachers and administrators and millions of K-12 users of both sexes, all creeds, races, sexual orientations, ethnicities, and social classes.” Wiegand is also author of Part of Our Lives: A People’s History of the American Public Library (Oxford University Press, 2015), past president of the Friends of the Florida State University Libraries and Florida Book Awards co-founder. The award, sponsored by Gale, a Cengage company, consists of $2,500 to assist with research expenses. Wiegand will be honored at the RUSA Achievement Awards Ceremony and Reception held from 5-6:30 p.m. Sunday, June 25 at the ALA Annual Conference in Chicago. All conference attendees are invited to the event. Additional event details will be available on the conference website in April. The Gale Cengage History Research and Innovation Award selection committee includes: David Murray (Chair), Nancy A. Bunker, Melissa F. Gonzalez, Ben M. Himmelfarb, and Chellammal Vaidyanathan. One Response to "Wiegand wins Gale Cengage History Research and Innovation Award"